Sister Marie Sagués, a Dominican Sister of San Rafael for sixty-three years, died peacefully after a long illness on November 20 at Our Lady of Lourdes Convent in San Rafael. Gifted with a wide range of talents, Sister Marie quietly and gladly devoted her life to her faith, her students, her large extended family, her love of music and language, her community of Dominican Sisters, and to the educational institutions founded by the congregation. After college graduation, she earned a secondary teaching credential at the University of Southern California. Her life as an educator began at Cabrillo Junior High School in Ventura. Sister Marie earned her Master of Arts degree in musicology at the University of California, Berkeley in 1958, and her Master of Arts degree in English Literature at Dominican College in 1974. She taught music and English at Dominican College, was a member of the English and Humanities departments at Sonoma State University, and spent a year as a Visiting Scholar in the Creative Writing program at Stanford University in 1988. Always one to accept new challenges, Sister Marie served as Director of Admissions and as Director of Campus Ministry at Dominican College, and as Principal/Head of School for six years at San Domenico in San Anselmo. She served on local, state and national boards related to education and participated on the Dominican Liturgical Commission in 1992. She published academic and other articles on music, literature, and education, and wrote poetry. At the age of 89, Sister Marie retired as an English professor at Dominican University last May. This freed her to work on her presentation this fall on St. Thérèse of Lisieux at a day of study and reflection that the Sisters hosted. Sister Marie is survived by her aunt, Georgia Sagués, numerous Bernou and Sagués cousins, beloved colleagues and students at Dominican University, and by her Dominican Sisters. The funeral Mass will take place at St. Raphael Church, 1104 Fifth Avenue in San Rafael on Tuesday, December 4, 2018 at 10:00 am. A reception will follow at the Dominican Sisters Center, 1520 Grand Avenue in San Rafael. Sister Marie will buried at St. Dominic Cemetery in Benicia following the reception. 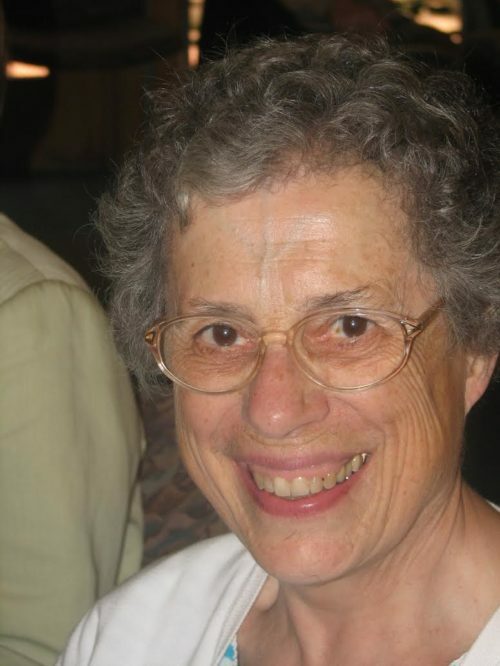 Memorial gifts in honor of Sister Marie may be made to the Retirement Fund, Dominican Sisters of San Rafael, Development Office, 1520 Grand Avenue, San Rafael CA 94901.